A product of the youth set-up at Leeds, Kilgallon had already played for England at Under-Eighteen and Under-Nineteen level before he made his debut in United’s UEFA Cup game in Florence for their away game with Hapoel Tel-Aviv, coming on for Lucas Radebe after sixty-two minutes, followed four minutes later by Frazer Richardson, who also made his debut as a substitute for Gary Kelly. He had made his England Under-Eighteen debut as a Substitute for Kris Taylor in a 0-3 away defeat by Italy on 4th March 2002 but had brought his caps to five by starting in an away 1-0 win over Slovakia on 6th June 2002, a 0-1 loss to the same team in the Maro Stadium in Lisbon the following day and a 2-3 loss to Norway, the day after in the same stadium followed by the hosts, Portugal at the Estadio Pina Manique in Lisbon the day after that, when he was substituted by Pablo Mills. His two Under-Nineteen Caps were both as substitutes, the first on 10th October 2002 in a 2-2 draw with Yugoslavia at Aggborough, Kidderminster, when he came on as a sixty-seventh minute substitute for Glen Johnson and on 5th November 2002 in a 9-0 romp against Moldova	in the UEFA Cup at Nene Park as a fifty-third minute substitute for Liam Ridgewell. After being loaned out to West Ham United for three months from 21st August 2003, for whom he made one League start and two games from the bench and one start in the League Cup in his stay which ended on 27th November 2003, he next made the first team in the Boxing Day game home game with Aston Villa in 2003 and on 17th January 2004 he scored his first goal for United at Southampton. He made seven League starts in 2003-04, scoring two goals that season and after making four appearances for the England Under-Twenty team, the first on 9th October 2003 in a 2-0 win over the Czech Republic at Broadhall Way, Stevenage, followed by three more starts in the Group D of the World Cup when all of the games were played at Al Maktoum Stadium, with 0-1 losses to Japan on 29th November and Egypt, three days later, followed by a 0-0 draw qith Columbia, three days after that, working his way into the England Under-Twenty-one set-up. He played his first game at that level on 30th March 2004 ina 2-2 draw against Sweden in Kristiansund when he came on as a sixty-third minute substitute for Steven Taylor. He made his run-on debut for them on 17th August 2004 in a 3-1 win over Ukraine at the Riverside Stadium. He then played in two Group 6 UEFA Championship games in a 3-1 win over Poland in Mosir Rybniku Miejski, when he was a thirty-seventh minute substitute for Anton Ferdinand on 7th September and then on 12th October he was a forty-sixth minute substitute for Calum Davenport before being substituted himself by Stuart Downing in the seventieth minute in a 0-0 draw with Azerbaijan at the Shafa Stadium in Baku. He made his fifth and final appearance on 14th November 2006 in a 1-0 win in the Netherlands at the DSB Stadion Alkmaar, when he played the full game. Once Leeds had dropped to the CCCL, Killa (his nick-name from his team mates) began to make more appearances and held down a more regular place in the first eleven. He played a major role in the club's run through to the 2006 play-offs, helping them make the final. 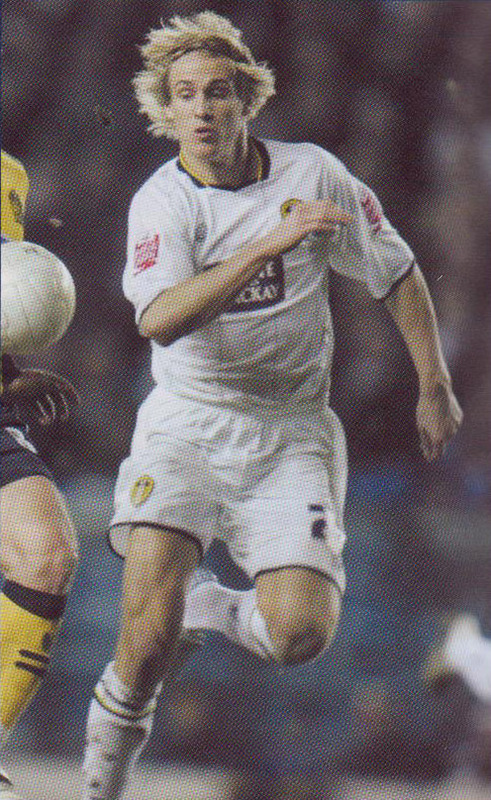 Kilgallon played most of Leeds's matches of the first half of the 2006-07 season in new Manager, Dennis Wise's new look Leeds team, keeping experienced centre-backs Sean Gregan and Hayden Foxe out of the team. Having been the subject of a failed £1 million bid from EPL side Reading at the start of the 2006-07 season he was finally transferred to Sheffield United during that season’s January transfer window. Kilgallon signed for Sheffield United on 8th January 2007 for £1.75 million rising to £2 million and with a twenty per cent sell on clause. Despite recovering from an early injury he found it difficult to force himself into Neil Warnock’s plans and did not make his first team debut until the 1-0 loss at Bolton Wanderers on 31st March 2007. He did not score a competitive goal for the Blades until 15th December 2007 when he netted the winner in a 1-0 home victory over local rivals Barnsley. A vital cog in the Blades team, he was the club's "Player of the Year" in the 2008-09 season. While playing regularly he rejected the clubs further offers of a new contract as it was inadequate. He did commit himself to the club until the end of his contract which was due to expire at the end of the season. Kilgallon's record at Bramall Lane was four League goals in one hundred and five starts and two games from the bench but had failed to score in seven F.A. Cup, seven League Cup and three starts in the play-off Finals. The club decided to cash in while they could and he signed for Sunderland for £2 million on a three and a half year contract on 21st February 2010. In the 2009-10 season he had started six League games and played one from the bench for Sunderland, but signed a season-long loan deal with Npower Championship side Middlesbrough in August 2010, making his debut against former club Sheffield United at the Riverside in a 1-0 win on 22nd August 2010. However, his loan spell was cut short by an injury and Kilgallon returned to Wearside having made just three starts for Boro, two in the League and one in the League Cup. He joined Doncaster Rovers on loan until the end of the season in January 2011, playing twelve League games, five of which were as a substitute. Kilgallon won a recall to the Sunderland first-team squad under Martin O'Neill and made his first senior appearance since May 2010 in the 1-0 win over Manchester City on New Year's Day 2012, when he came on as a substitute for Wes Brown after twenty-six minutes. On 13th July 2013 he was signed on a free transfer by Blackburn Rovers. He had started twenty-one and come on twice as a substitute in League games and started two F.A. Cup ties and one League Cup game without scoring. He stayed at Ewood Park for three seasons scoring twice in fifty-seven League games of which five were as a substitute and also started six F.A. Cup and one League Cup games without scoring. He moved to Bradford City on a free transfer on 1st August 2016 and by the end of the 2016-17 season he had started six League games and made one substitute appearance, three starts in the F.A. Cup and three starts and one appearance as a substitute in the Football League Trophy, but had not scored in any competition.